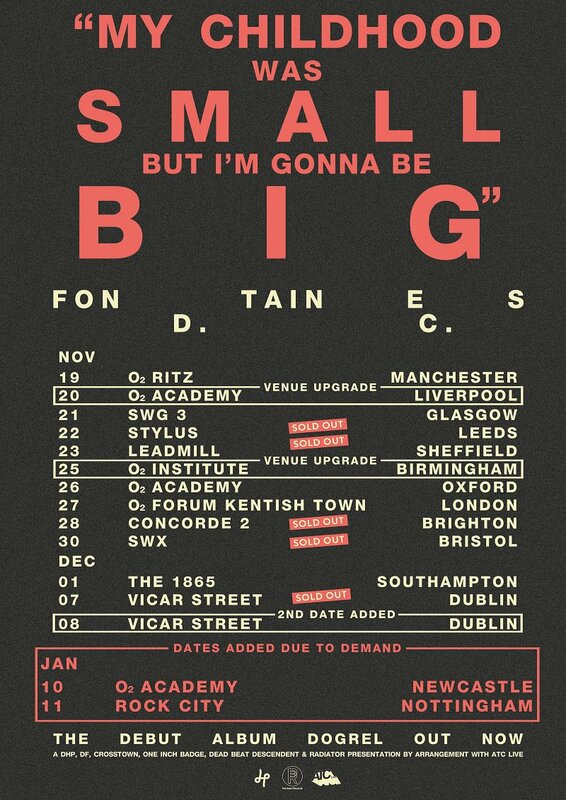 Fontaines DC have added further dates to their UK and Ireland tour. 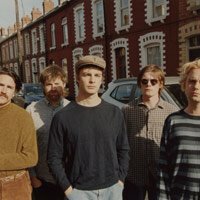 The Dublin-based post-punk band, who put out their debut album ‘Dogrel’ on April 12, will now stop at Newcastle’s O2 Academy on January 10 2020, and Nottingham’s Rock City on January 11. Tickets for the new shows go on sale at 9am on April 19. Additionally, the band have upgraded some venues. Their stop in Liverpool on November 20 will now take place at the O2 Academy and their Birmingham show will be held at the O2 Institute. Tickets for the rest of the tour are on sale now. 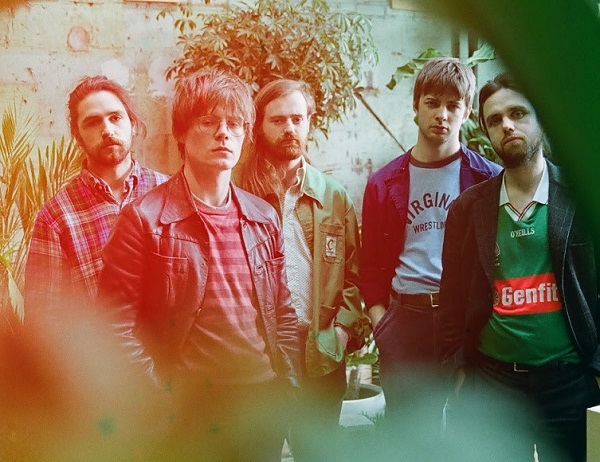 Fontaines DC play the final few shows of their spring tour in the coming days, tonight calling at London’s Garage and tomorrow at Brighton’s Haunt. Following this they'll head to the US in September. Click here to compare & buy Fontaines DC Tickets at Stereoboard.com. Photo: Daniel Topete Fontaines D.C. have shared another track ahead of the release of their debut album. Photo: Richard Dumas Fontaines D.C. will wrap up their autumn tour with their biggest hometown show to date. Photo: Richard Dumas Fontaines D.C. have shared a new single, Big.